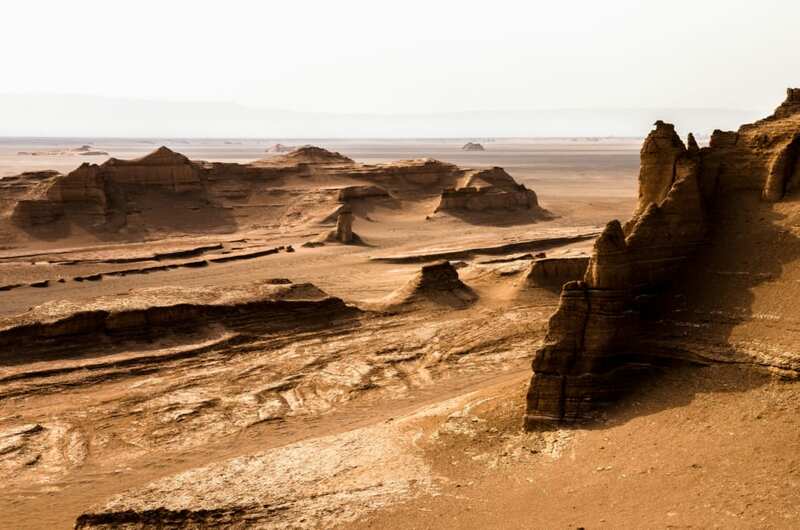 Wandering around a landscape covered with hundreds of natural, towering sculptures in Shahdad desert, which resembles a Star War Hollywood scene, sounds tempting to any adventurous traveler. 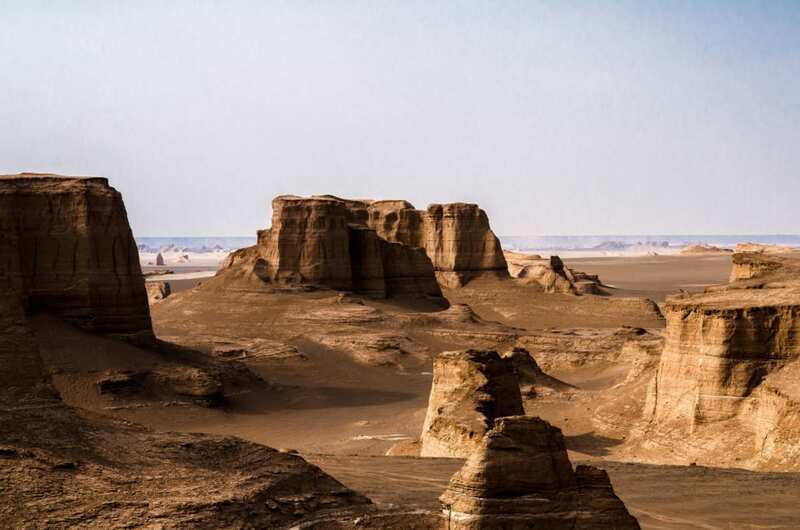 Raised from the sands and water and created by the wind, these geological landforms are known as “Kalouts” and are among the most mysterious and astonishing attractions located at the edge of Dasht-e-lut in the center of Iran. This magnificent region has been listed among the World Heritage sites of the world, registered by UNESCO. 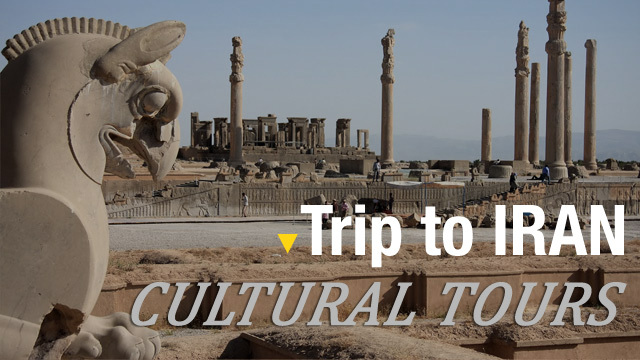 Moreover, it has been among the most popular touristic destinations in Iran recently. The amazing landscapes are mainly caused by strong winds of Semnan, which blow 120 days of the year between June to October and erodes the wall of the Kalouts. The only permanent river of Dasht-e Lut, stemming from the north-western mountains of Birjand, is another important natural phenomenon which influences the formation of these giant mud sculptures. It is called Roud-Shour (Briny River) and contains a huge amount of salt and minerals. The scenery created by the Kalouts looks absolutely unbelievable and at a distance, they seem like the ruins of an empty city with huge rocky houses. That’s why some locals call it “the ghost city”. No life exists here and this desert is considered to be an abiotic zone, meaning no creature or plant survives in such severe condition. 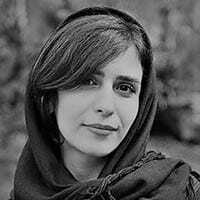 In fact, as you move towards the Kalouts in Shahdad from Sirch city, less and less plants are observable. 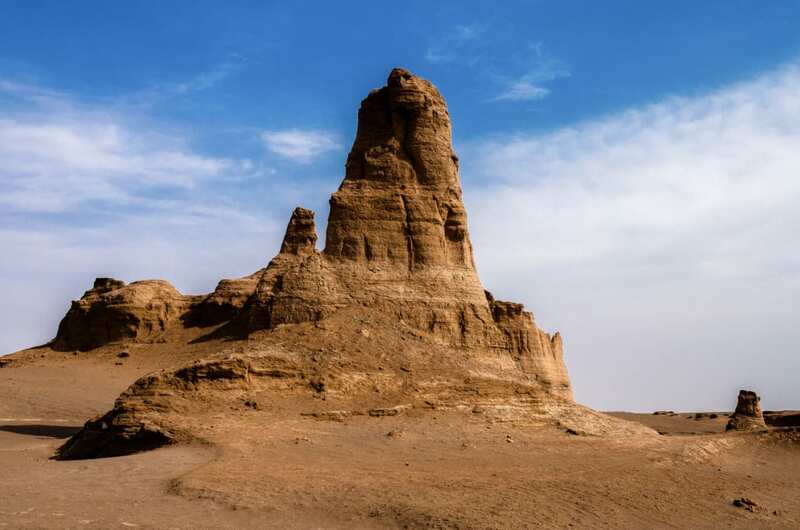 However, watching Nebka trees, which are vase-shaped sand dunes formed around vegetation, on your way to Kalouts would be one of the most beautiful attractions of Shahdad desert, as their heights in some cases reach 10 meters (Nebka trees of Africa deserts are only 3 meters high). 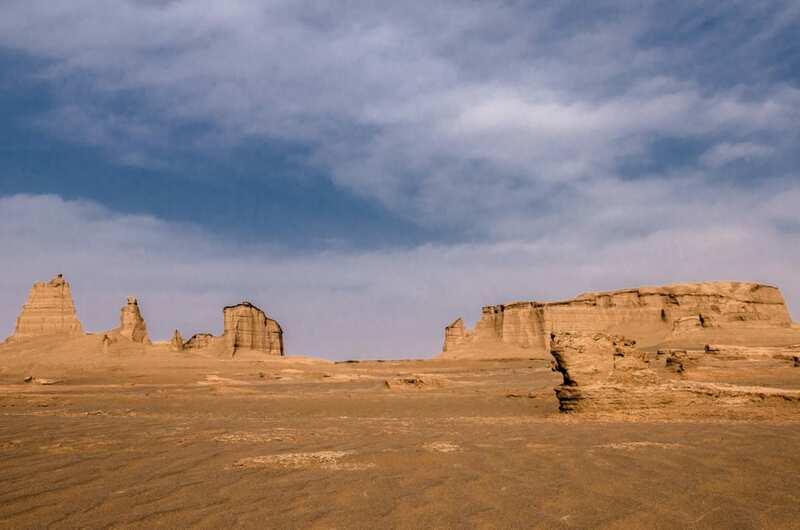 The tranquility of the desert, where the last signs of human presence have been disappeared miles away, is truly incomparable to other touristic sites in Iran and definitely impresses the visitors deeply. The clear sky makes it possible to appreciate a wonderful sunset or sunrise between the golden sand castles of the desert. 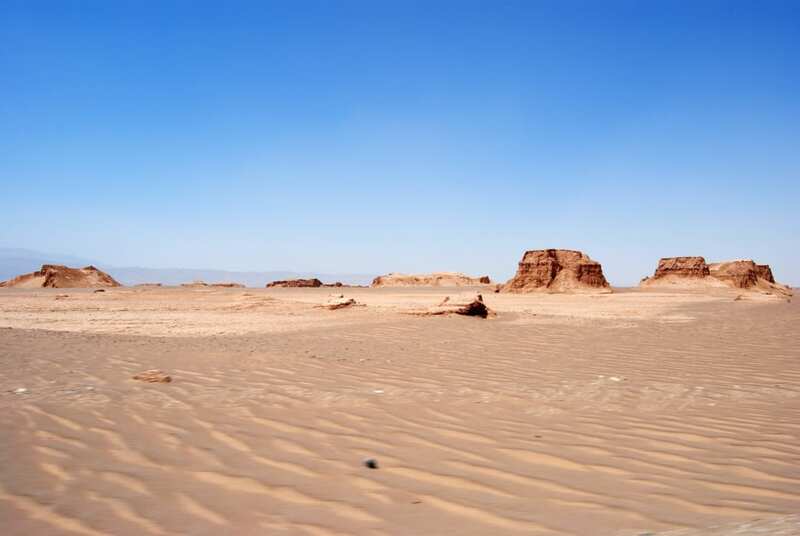 However, since the region is renowned for being one of the hottest locations in the world, it is recommended to be visited only during the coolest seasons of the year, as the attractiveness of the desert in warmer seasons is limited to nights. 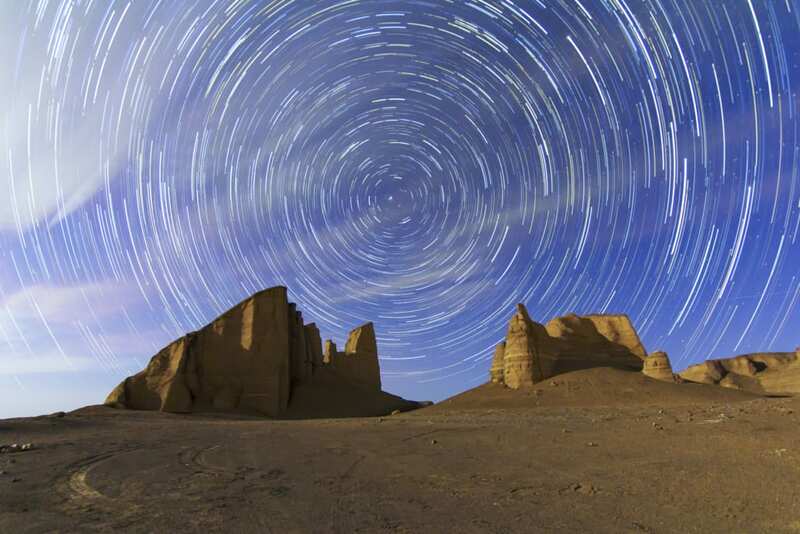 Meanwhile, for those who are interested in astronomy, observing the stars in Shahdad’s clear sky with no light pollution would definitely be a highlight of their trip to Iran. 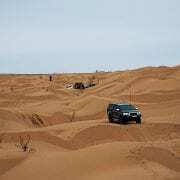 Visiting the Kalouts is just one of the many ventures you could consider during your trip to this amazing desert. 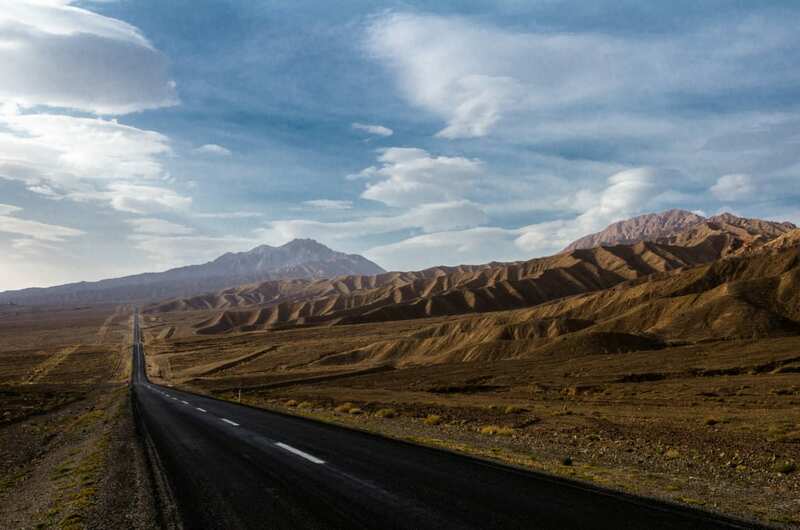 Shahdad is one of the best options for traveling to Iran during autumn and winter, when the weather gets cooler in northern part of the country. 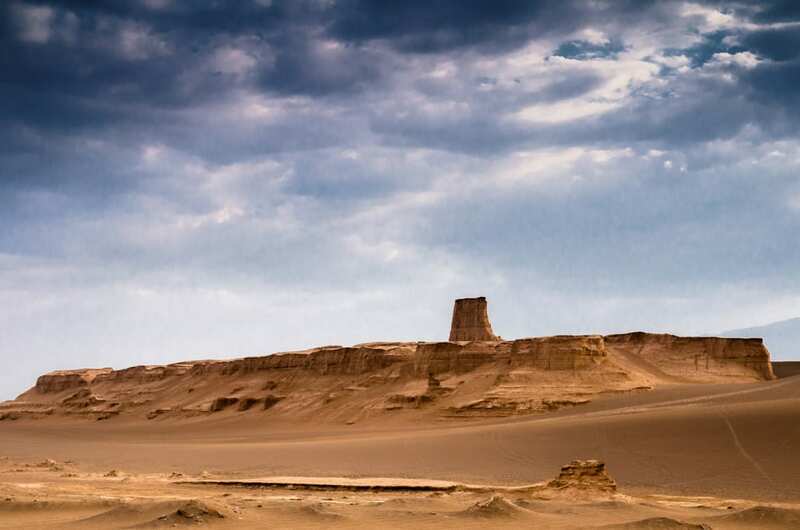 Eco-lodges, camps and local houses located in Shahdad let you accommodate here for a few days to enjoy photographing enigmatic sceneries during the peaceful silence of the day and watching the dazzling starry sky of the desert at nights. 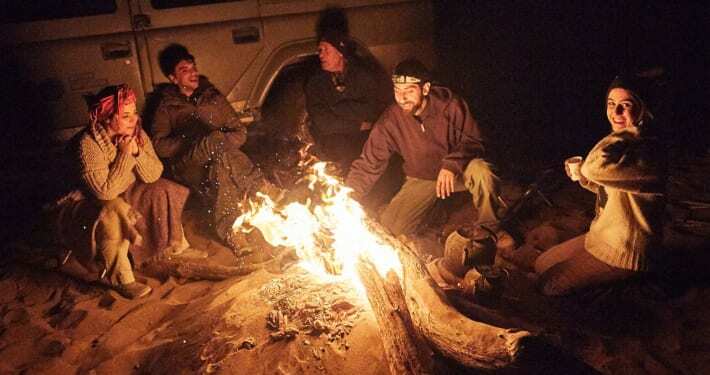 If you are seeking thrilling and exciting activities, there are a variety of options for you: Renting a safari car and a guide to search the vast land of Shahdad or an ATV to ride across the dunes. You can even try riding a camel or just chill out while having a friendly conversation with the locals and other visitors to get familiar with their lifestyle and culture. Trekking the dunes barefoot to sense the warmth and softness of the sands without being worried about desert threats is another simple joyful experience you can have here. 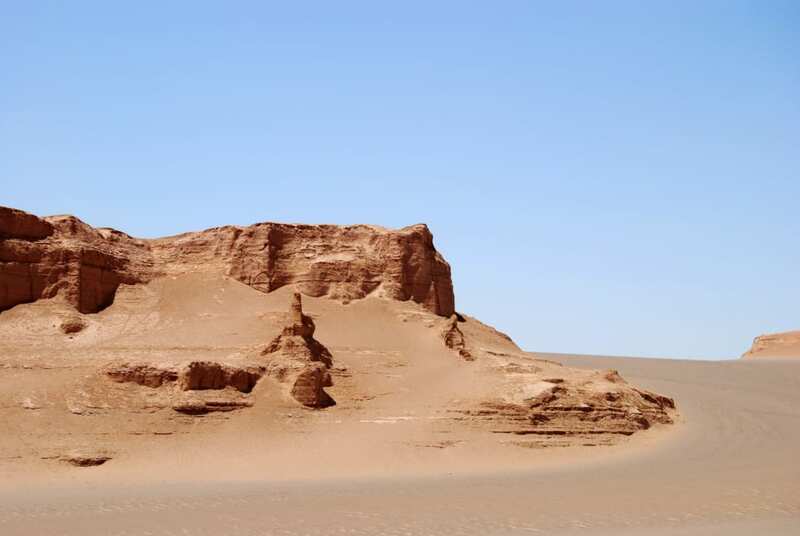 Although today no human inhabitations exist here, remains of an ancient settlement have been discovered close to the Kalouts in the heart of the desert. 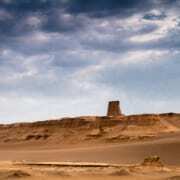 Archeologists believe that bronze potteries, sculptures and jewelry unearthed in Shahdad, belong to a 6000-year-old civilization and share many resemblances with Shahr-e Sukhteh (Burnt City) archaeological site in Sistan and Baluchistan province, which during the emergence of the urban epoch was one of the world’s largest cities. 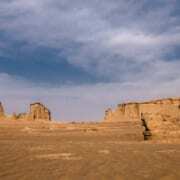 In addition, the oldest awl ever found in Iran has been discovered in Shahdad. 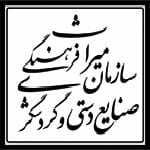 Therefore, this region is considered to be significant among anthropologists and geologists, both naturally and historically. 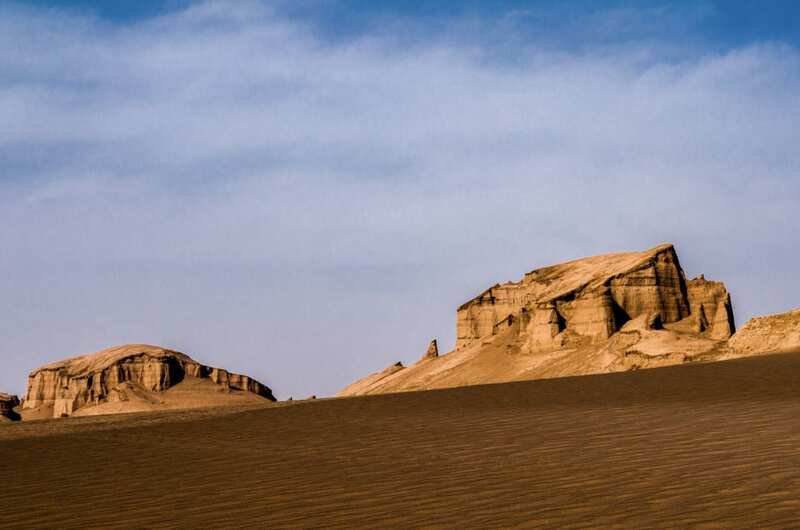 Reaching this desert is not as easy as other touristic deserts in the center of Iran and due to its remote location, it is recommended to rent a car or simply take a tour with an experienced guide to organize you a desert camp. 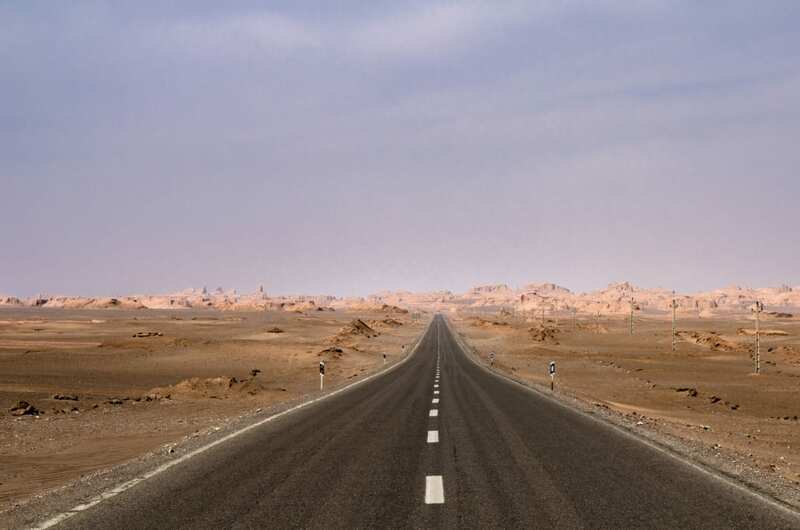 After visiting Kerman and its attractions such as Shahzadeh Garden, you can head to Shahdad city and continue your way towards the desert in Kerman-Bam road. 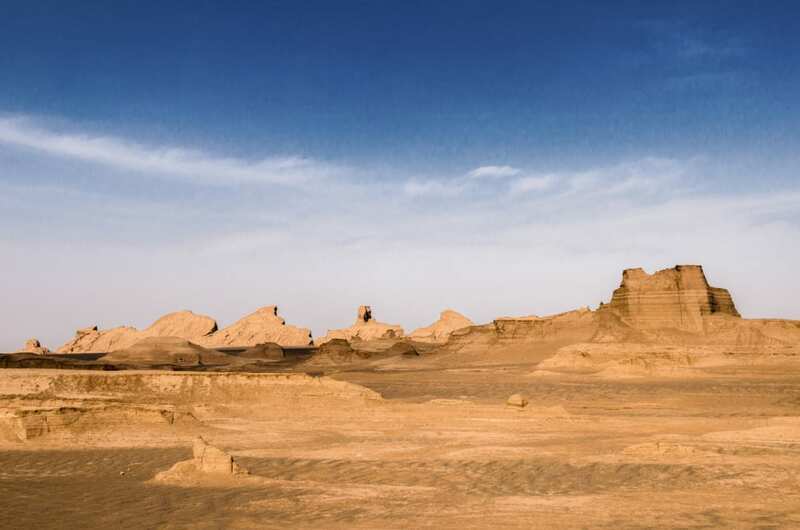 Away from the hustle and bustle of the city and immersed in the simplicity of the sceneries, you will absolutely sense the peacefulness of Shahdad desert and its Kalouts on your trip.